Boyds, Md. 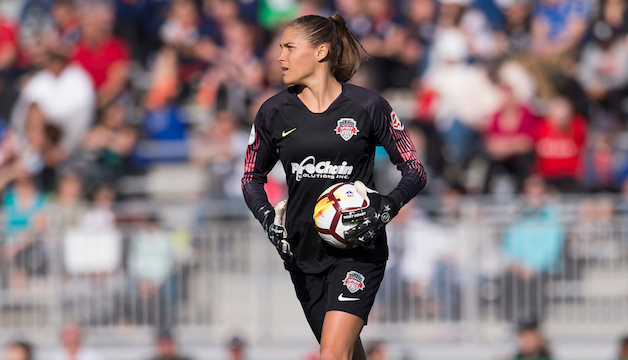 (Feb. 10, 2019) – Washington Spirit goalkeeper Aubrey Bledsoe reached her second straight Westfield W-League Grand Final with Sydney FC, defeating the Brisbane Roar 2-1 in this weekend’s semifinal. Sydney FC took the lead in the first half when Caitlin Foord found the back of the net in the 33rd minute. Sofia Huerta followed Foord’s lead in the 68th minute, scoring the Sky Blue’s winning goal, sending them to the Grand Final. During her time on loan in Australia, Bledsoe has played a key role for Sydney FC as the team reached the postseason for an 11th straight year. Bledsoe finished third in the W-League in total saves with 45, starting 11-of-12 of Sydney’s regular season games, and keeping two clean sheets. The Sky Blues will be hosting Perth FC in the Grand Final next weekend. Sydney will be looking for redemption after falling to Melbourne City FC 2-0 in the final last year.